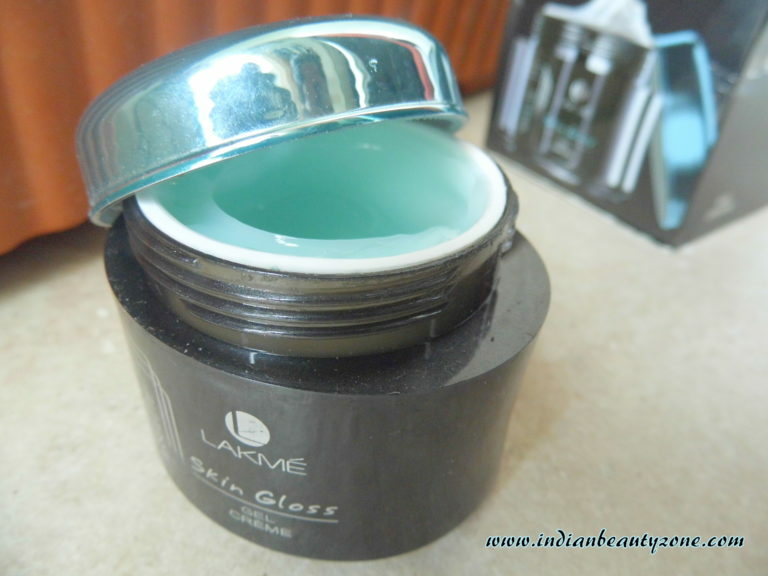 The gel cream comes in a shiny black colour plastic tub with a blue colour screw open cap. It is travel friendly packaging. The cream is in pale sea blue colour. The texture is between a gel and cream. It smells exactly same like the serum which is the smell is pleasant and bit strong. The serum was enough for me during summer where my skin will become slightly combination. But once the rainy season started my skin became dry especially my cheeks. So I am in need of extra moisturizer other than the serum. 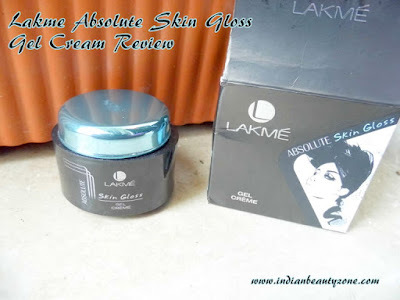 I knew already that this Lakme Absolute Skin Gloss range has gel cream and over night mask, I have bought both of them. 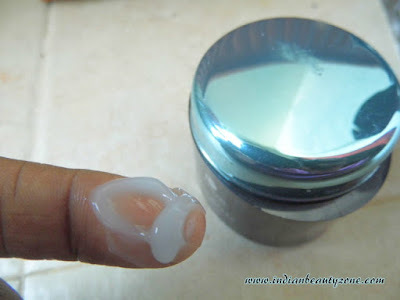 I use to apply few dots of this gel cream after applying the serum. It leaves my skin completely fresh as my skin is dry it absorb the cream very well. My skin looks even and glow, it leaves the skin soft. I found the fragrance is bit overpowering. But after sometime the smell will go away. It doesn't cause any allergy or breakouts and also didn't clog my pores. 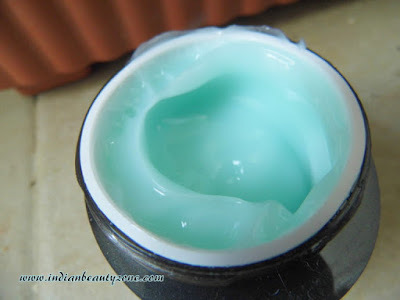 The texture is super light weight and it gets absorbed into the skin in no time. I use to reapply it after 5 hours to ensure the moisture and hydration of my skin. This gel cream also shows glossy effect on the skin and also it gives such a nice cooling effect to the skin when applied. It gives a refresh feel everytime when applied. 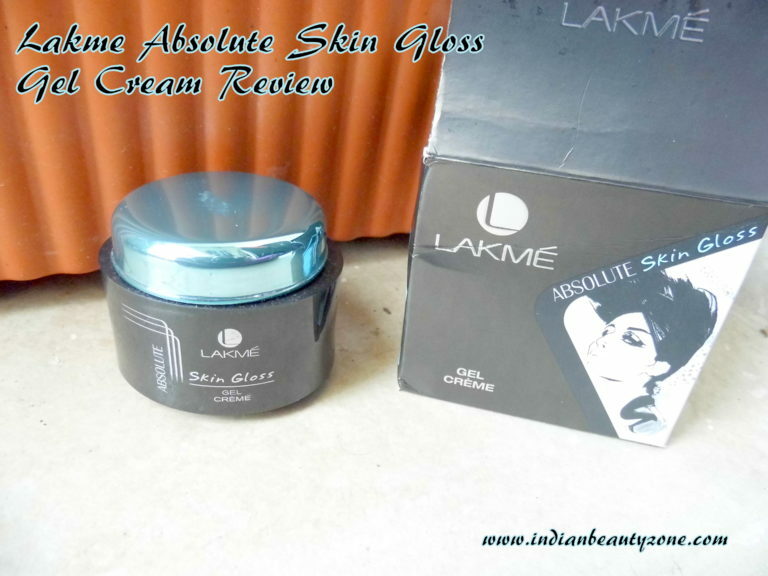 Overall it is a good cream to top it with the serum from Lakmé absolute skin gloss range. 1. It is affordable than the serum. 2. Gives a cooling feel after applying. 3. Makes skin glossy and glow. 4. It mooturize skin enough. 5. It doesn't makes skin oily. 6. It keeps the skin fresh. 7. It works well with the serum from this range. 1. One need to reapply as the moisturizing effect will go after 4 hours. 2. The smell is very artificial. 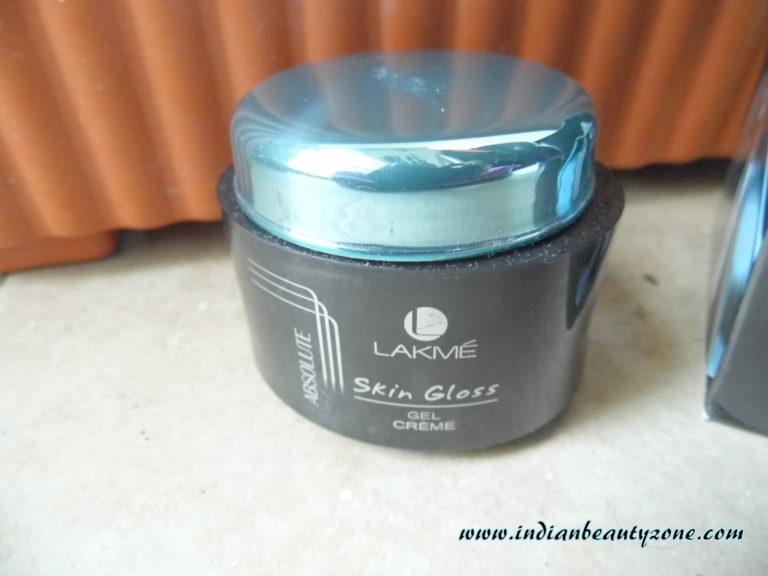 Lakme Absolute Skin Gloss Gel Cream is a best option if you are looking for a light weight moisturizer that doesn't makes your skin oily. It gives glow and makes skin fresh with refreshing cooling feel. Do try it with the serum if you have dry skin and you can use it alone if you have oily to combination skin.